Welcome to the Fisher Lab in the Department of Biology at the University of Maryland, College Park! 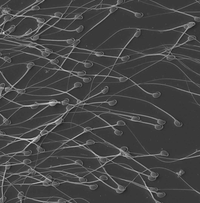 We use a variety of approaches from evolutionary genetics and genomics, reproductive physiology, behavioural analysis and mathematical modeling to understand how sexual selection shapes the evolution of reproductive traits. To learn more about our work, please see our Research page. And to see our reseach in the news, see our Media page.